Everyone is looking for something different when they explore the world. For some it’s about ticking off the magnificent sights on the proverbial list, whilst for others it is a search for illumination through learning and experience. Being able to encounter and empathise with a new culture is one of the many benefits and privileges of travel and is something that the more discerning traveller knows will truly enhance any adventure. But how do you do it? Well seeing as most of us don’t have years to spare living amongst a new culture, we’ll have to cheat a bit. 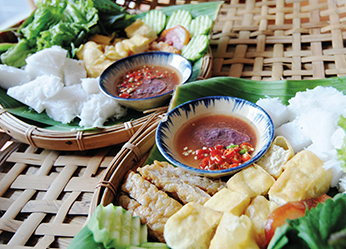 At Wendy Wu Tours we have always believed that authentic experiences are an essential part of your holiday – that you are able to see, taste, smell, hear and touch a culture as well as admiring the many spectacular sights. With the Exclusive Collection, we have taken it a step further by introducing authentic encounters into the touring itinerary. Each of these tours are designed for deeper immersion with a range of experiences that span from pure indulgence to hands-on; cultural to foodie. 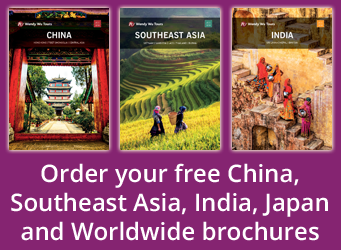 There are four tours covering some of the many wonders of China, four exploring the extensive beauty and numerous treasures of Southeast Asia and three admiring the wonders of India. Each of the tours are luxury tours with sumptuous dining, 5* hotels, world-class restaurants, deluxe cruising and champagne moments. Taking part in activities unique to your destination are an excellent way to embrace a new culture as well as developing a handy new skill. 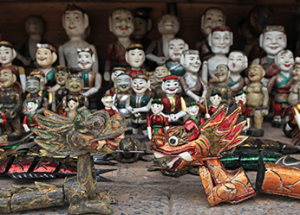 Many of these cultural activities have their roots in ancient traditions. Calligraphy, which you can try your hand at in Beijing, has evolved throughout China’s history to become the symbolic art form of the oriental world, whilst water puppetry in Vietnam, which originated amongst the rice paddies of old, tells stories of old feudal practices mixed with folklore – you can chat to a puppeteer and enjoy a private performance in Hanoi. 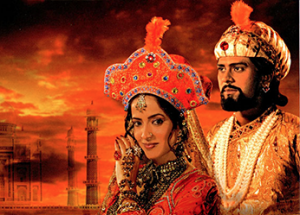 You can also learn the story of emperor Shah Jahan and his beloved during the reign of the Mughal Empire by watching Mohabbat the Taj, a lavish stage production performed in Agra, India. 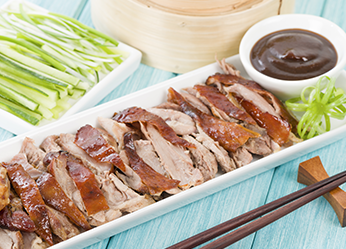 Dining on the local cuisine can give an excellent insight into a society. Tasting and having a go at making local foods introduces you to traditional, local ingredients and the techniques that are likely to have been perfected over centuries. Acquaint yourself with the traditional Chinese dumpling (a symbol of wealth, family and happiness) in Xian where dumpling making has developed into an art form – join local chefs to learn how to craft these tasty morsels. 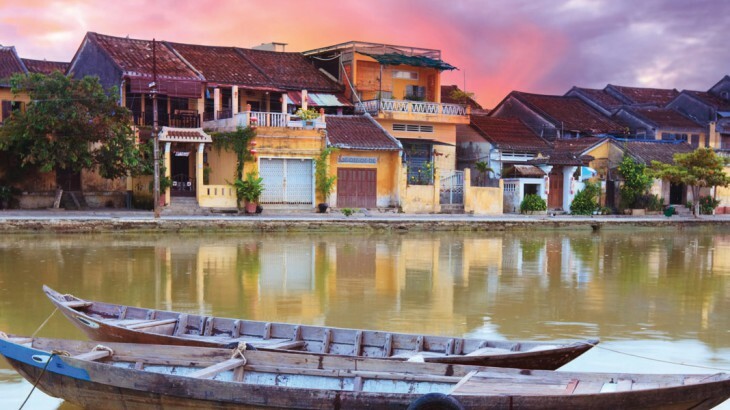 In Vietnam local ingredients and local spices fresh from local fields are combined to create the mouth-watering dishes of one of the world’s most highly regarded cuisines – the traditional town of Hoi An is the perfect place to get to grips with the basics of it. In India, sample authentic cuisine in Jaipur’s Amber Fort whilst dining at the 1135 AD restaurant, located inside the highest ramparts. Exploring things more deeply, whether it is a historical site or a wider region, is a sure way to gain a load of knowledge about your chosen country and its culture. By looking more closely at a destination’s heritage you’ll be able to form a better idea about why it is the way it is. 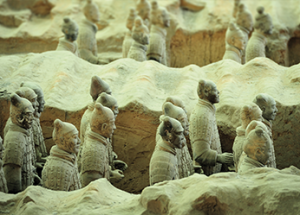 For example being accompanied by an archaeologist as you view the Terracotta Warriors allows you to learn about the rituals of death and the afterlife in Chinese philosophy. Furthermore getting off the tourist trail to explore more extensively you’ll be able to meet local people and glimpse the way they live their lives on a day to day basis – cruising deep into Vietnam’s Mekong Delta region gives a look at rural lifestyles that you wouldn’t otherwise see. Taking a rickshaw to the Ghats of the River Ganges to witness the Puja ceremony allows you to immerse yourself into the religious lives of the inhabitants of Varanasi. What could be a more authentic experience than taking a bit of time to join in with what the local people do? You can eat with the residents of Saigon at their favourite food stalls before sitting back and sinking an icy beer as you explore the city’s fantastic street food scene or raise at the crack of dawn to come together with the Tai Chi enthusiasts that practice every morning in Beijing’s parks. What better way to interact with people, the heart and soul of any country, than by rubbing shoulders with them as they go about their everyday lives. 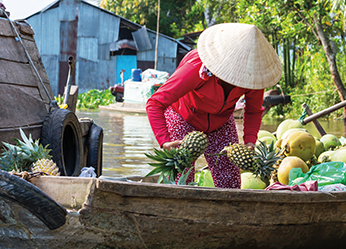 The Exclusive Collection by Wendy Wu Tours is designed with the discerning traveller in mind. Incorporating decadent additions, such as exceptional experiences, world-class restaurants and five-star hotels, the Exclusive Collection allows you to have a more authentic and more luxurious experience of your chosen destination. Cambodia, China, India, Vietnam culture, food and drink, luxury, tours. permalink.